Mohamed Alafkam, president of ITI (Int. Theatre Institute) and Dieter Topp, president of EuropeCultureForum (KulturForum Europa), met again in Abu Dhabi. pps/cb. They talked about the UAE‘s new cultural activities as Louvre Abu Dhabi, Guggenheim Museum and Zayed National Museum as landmarks and tourist attractions. Mr. Alafkam who also is close to the Crown Prince of Fujairah, is involved in many projects. 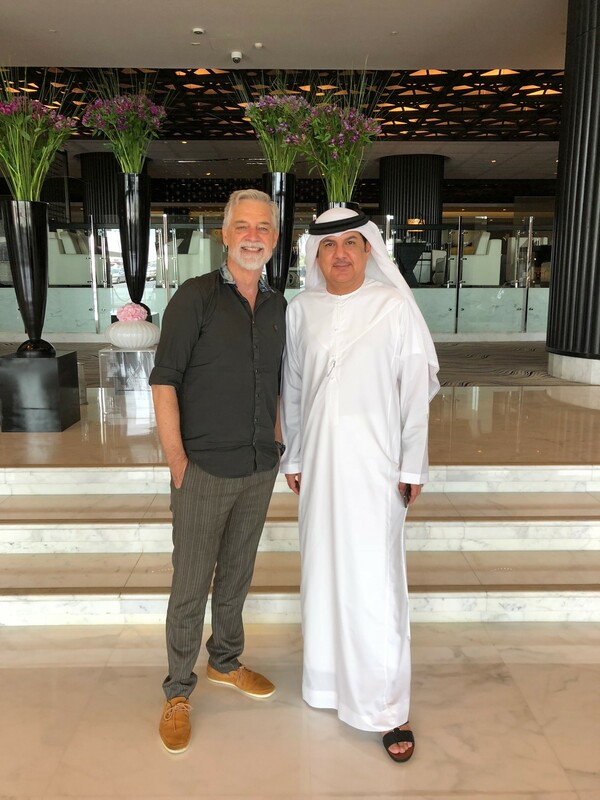 He is the founder and director of the Fujairah International Monodrama Festival FIMF, President of the UAE ITI Centre in Fujairah as well as the President of the International Monodrama Forum IMF and director of the Fujairah Culture and Media Authority. Al-Afkham’s efforts, contributions, and direct involvement resulted in the establishment of the Dibba Al Fujairah Theatre Group and the Dibba Al Fujairah Culture, Arts & Theatre Association. Mohamed Al-Afkham has a long history of supporting theatre, theatre artists, theatre institutions, and monodrama festivals all over the world. Dieter Topp who had visited the festival two years ago, stated it to be of high importance for cultural tourism into the Emirate of Fujairah.